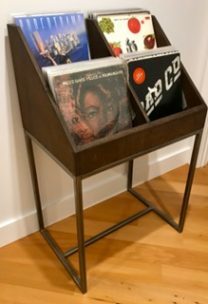 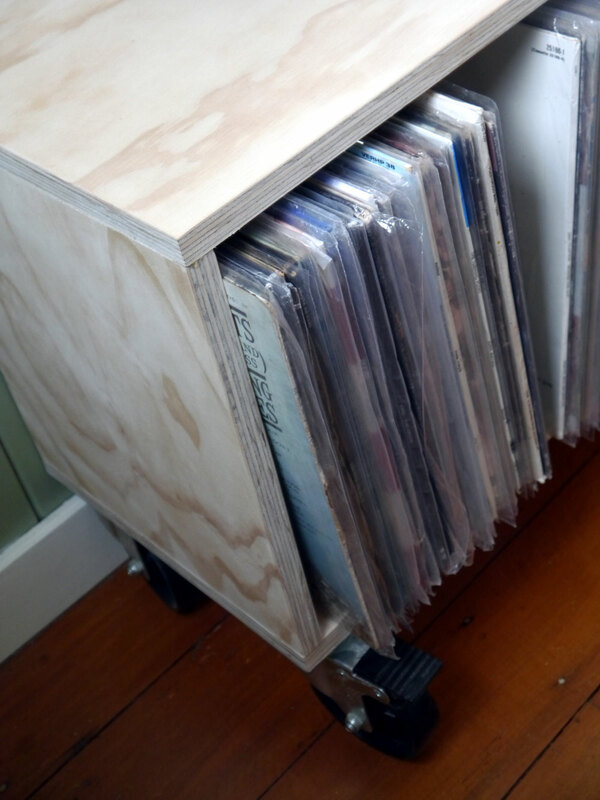 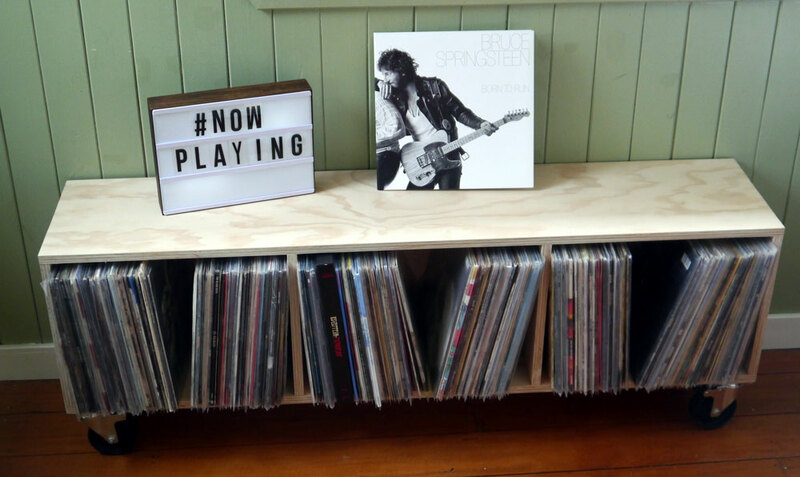 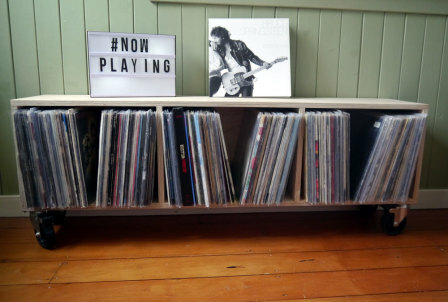 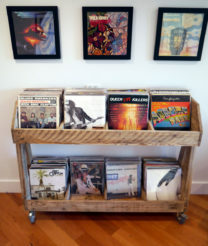 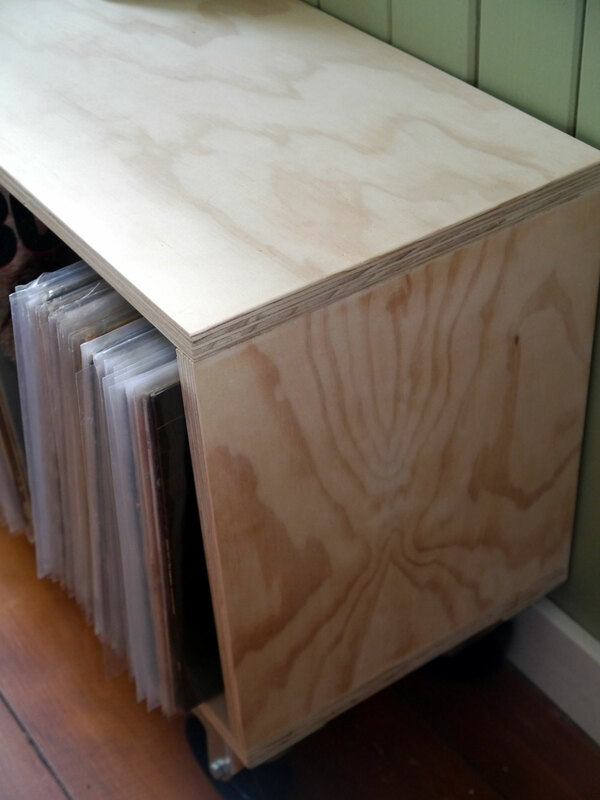 Stunning Vinyl storage unit made from furniture grade pine plywood. 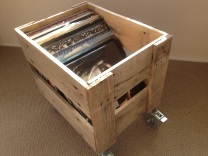 This beautiful unit can hold 250 to 300 lps. 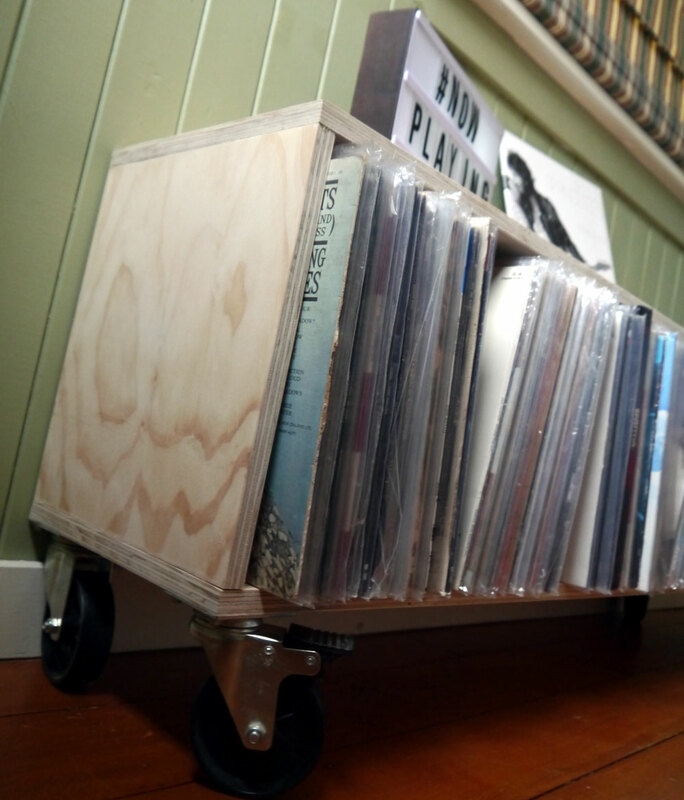 Sits on large industrial inspired caster wheels which have 360 degree swivel and are lockable. 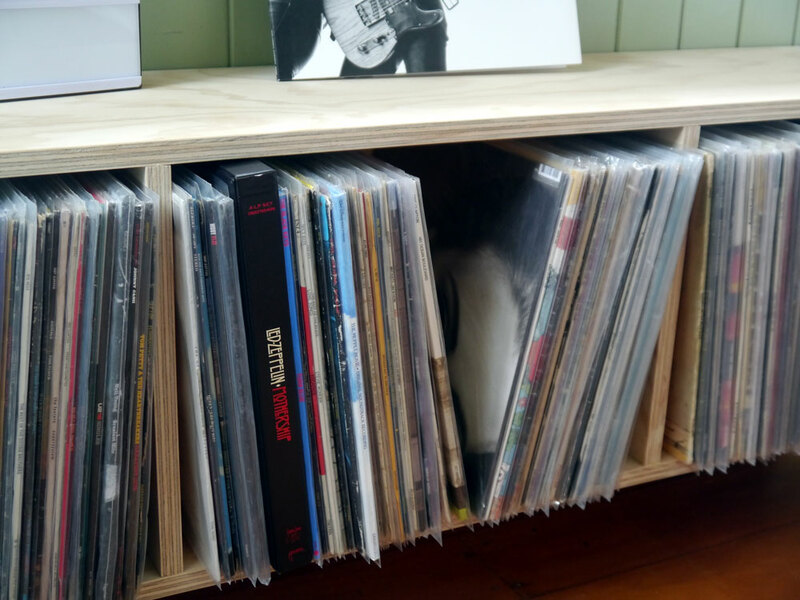 The three partitions make sifting through your LPs are breeze.